The identity of the Philadelphia fan; it’s been reduced to a patient bystander, circling a future date in the 2020’s that one of the four teams will contend for a championship. Lacking credible substance, draft positioning and the acquisition of future assets has become the obsession. Patience, rebuild, process, not a request but a demand from management with all four major Philadelphia franchises; and when the dust settles from this mundane period of sports, will there even be a title to celebrate? There have been good if not great Philadelphia teams over the last thirty years, yet only the Phillies and the 2008 World Series title to show for it all. The closest team to the next title, some would say the Sixers while others would go with the Eagles, a few votes for the Flyers and the Phillies don’t even enter the conversation. Two out of the last three years have lacked any postseason play, the Flyers got hot at the end of the 2015-2016 season, but it’s rather pathetic how a market as big as Philadelphia has fallen. The Sixers (2015-2016) and the (2015) Phillies finished with the worst record in the league. The Eagles are nearing a decade since their last playoff win. The Flyers are a borderline playoff team every year, but there is faith in Ron Hextall because he helped the Los Angeles Kings hoist the Stanley Cup. Let me make this clear. Forget any outsider calling the Philadelphia fan base too demanding or front runners. This is not about being critical, it’s about keeping it real. The edge, the swagger that use to be in the footsteps walking through the gate at Lincoln Financial Field, Citizens Bank and the Wells Fargo Center, it’s a shell of its former self. What remains are the few players on each team that your fragile sports laden soul has to trust as the building blocks of a title. One has to ask the question; could this state in Philadelphia sports have been protected, or at minimum, a reasonable balance and not all four teams sinking at the same time. If so, what was the turning point for the Eagles, Phillies, Flyers and Sixers that started the domino effect? Eagles: When the Joe Banner/Andy Reid front office failed to re-sign Brian Dawkins after the 2008 season, that’s where the decline of this franchise really began. After Dawkins left, it set off a chain reaction of negative events for the Birds. The team hasn’t won a playoff game since Dawkins left. The McNabb era ended one year later after two back-to-back thrashings at the hands of the Dallas Cowboys. Dawkins, who still played at a high level for a couple of years after he left the Eagles, might have made a heck of a difference in those games. If the Eagles aren’t demolished by the Cowboys in those games, does the McNabb era end after 2009? If Dawkins stays, do the Eagles avoid the Dream Team debacles in 2011 and 2012? Is Andy Reid still the coach of this team today? Sixers: The obvious turning point here is the Andrew Bynum trade. The move shook up the franchise, shipping Andre Iguodala out of town after helping the team make the playoffs and win a series the year before. 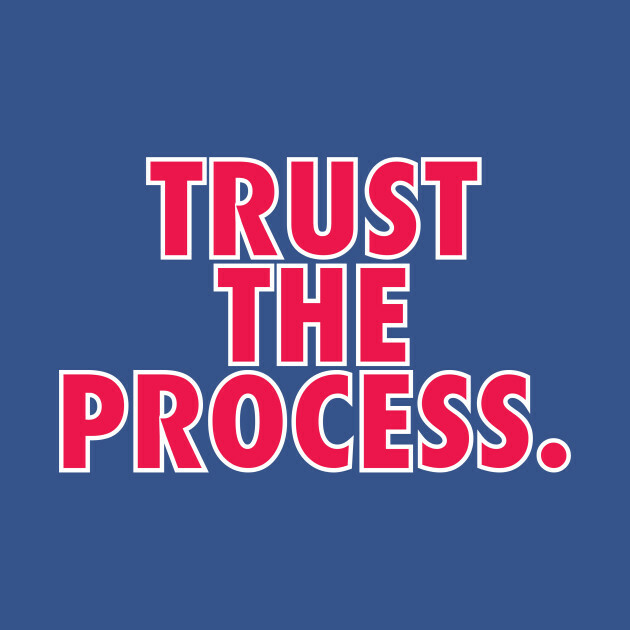 When the Bynum trade blew up in the team’s face, it set the stage for the organization to clean house and start The Process with Sam Hinkie. Phillies: It’s hard to pin down an exact turning point for the Phils. The simple truth is that the old core got old and hit their declines at the same time, and the minor league system never had the prospects to replenish the team with young talent. But the one moment you could really point to is the Howard Achilles injury. Howard wasn’t close to the same after that injury, and lost significant parts of the next two seasons trying to recover from the blow. If Howard is healthy at the start of 2012, the Phils might have had a shot to make one more playoff run as a wild card. And with Cole Hamels and Cliff Lee still performing at high levels (Halladay’s decline began after 2011) who knows what might have happened. Flyers: Paul Holmgren’s later years as general manager. Holmgren’s tenure wasn’t all bad. He made some great moves early in his time with the Flyers (signing Danny Briere, trading for Chris Pronger, Villie Leino trade) But he made so many god awful moves over his last few years. Signing Ilya Bryzgalov was probably the worst. It led to the team parting ways with Sergei Bobrovsky way too quickly. Bob was the goalie that the Flyers had been searching for for an eternity, and the team let him get away. Imagine the offensive and defensive support that the Flyers could have built around Giroux if they had a cheaper Bobrovsky in the net instead of having Bryz’s deal weigh them down. And the JVR for Luke Schenn deal was hands down one of the worst trades I’ve ever seen a General Manager make. The only one worse that comes to mind is Ruben Amaro’s 2009 Cliff Lee trade/salary dump that brought back Phillippe Aumont, Tyson Gilles, and J.C. Ramirez. 1) Eagles – Turning Point was once D/C JJ became ill and then passed away, their Defense and Physicality was just never the same. Coach Reid only had to worry andfocus on the Offense with JJ around and then had to become a Full-Team HC which we saw some pretty disastrous descision and results once JJ passed on..
2) Phillies was probably when Ryan Howard tore his Achilles and he was just never the same which took one MLB’s most Productive Middle of the Order Hitters out of the lineup.. GM Amaro had many Big name Signings but outseide of Doc Holiday, many did not really pan out as the Championship Core Of Players got big Comfy Contracts, Injured & Old together..
4) Flyers have been the most overrated Pro Franchise in the City of Philadelphia in terms of Production and Playoff Success for 20 + Years now..
also who were the big name signings that didn’t work out? You are correct that Howards achilles is the biggest cause but really who were the signings? Halladay was great then broke down- same with lee– rollins was one of the most productive SS in the game after he signed his last phillies contract. It was a fun ride while it lasted but could have better and lasted longer with some better moves during that 2011-2013 window and perhaps some better luck with injuries too..
Rollins contract was $11 a year and he was one of the most productive SS in the game during those years… shut up stupid. and had more opportunities .. Dummy by your own admission Rollins was the 8-10 best SS in those years … You conveniently left out the GG. 16-11 for a pitcher is pretty damn good. Getting a guy at the deadline for e stretch run and he goes 7-1 during that stretch run. And somehow you in your negative nitwit world say that’s bad…. Kinda shows how stupid you are. Rollins was also the 2nd Highest Paid SS outside of Jeter in 2011, You state Rollins was Among the Most Productive/Top SS’s in the Game and I don’t think being Ranked anywhere from 8th to 12th at your Position over these 4 Seasons puts him among the Top or Most Productive? Papelbon was the highest Paid Reliever/Closer when the Phils Signed him even though he had locker room baggage in Boston, but Amaro jumps at him and overpays him to boot, which eventually tied his own hands when trying to move him 2-3 Years later as there were very few takers due to his Contract and Attitude..
on of the Top Producing SS playing during the Years noted as you originally stated… The Salary or him being Overpaid is what GM Amaro did with many Phillie Players. A Top Producing Player should be in the Top 3-5 at his Position don’t you think? So I’m going to build a Team and Pay Top $$$ for a little better than Average Production? This is what happened to the Phillies and why they are in the shape they are in these Years.. They simply stayed too long (by 2-3 Years) with too many Aging, Injured, Overpaid Playersk, .. that’s the Reality and the Lesson that should be learned by the Phillies Organization.. Stay away from Long- term Deals, No-Trade Clauses which eventually come back to bite you and restrict your Overall ability to Manage your Roster.. Your saying that Jimmy Rollins was still a Top Producer SS during these Years and the Stats say he wasn’t regardless of his earnings… You consider being the 8-10-12 Ranked Player out of 25-30 Total as Top Producing and I don’t..
You pay the Big $$$ for Young Players for what they will do, not to Older, Aging Players for what they did do, that’s the type of Philosophy what’s led to this current 4-5 Year black hole that the Phillies are currently in..
Will this’s be the 5th Season in a Row of not only having a losing Season but not even able to compete for the expanded Wildcard Spots? Votto, Posey, Harper (still arb eligible) made peanuts when they earned MVP then signed big deals…. its the business little boy. The battle of gcobb’s elderly senile posters looks to be close to the end. The two viagra abusing, depends wearing, oxygen tank wielding combatants have battled it out for 4 days now. Haveacigar struck first but, paulman has returned fire with a volley of replies that has clearly frustrated cigar and has caused the varicose veins in his legs to flare up he had to be taken to the locker room for x-rays. If cigar wants to have a chance in this contest he’s gonna have to man up take those false teeth out of that holder filled with efferdent plus and fire back with some substance.